Located just a few miles on the outskirts of Islamabad is one of Pakistan’s most astonishing heritage sites, the fabled city of Taxila. Taken from the Sanskrit term “City of Cut Stone”, Taxila is a must-see location. Dating back several thousand years, it has witnessed some of the milestone events in the history of the subcontinent. According to tradition, the Mahabharata was first recited at Taxila – or Takshashila. The city witnessed some of the greatest figures of history going through it, including Darius I, Alexander the Great, Chandragupta Maurya and Ashoka. Chanakya (Kautilya), Ancient India’s very own Machiavelli and an adviser to Chandragupta Maurya, is also said to have taught at the university in Taxila. 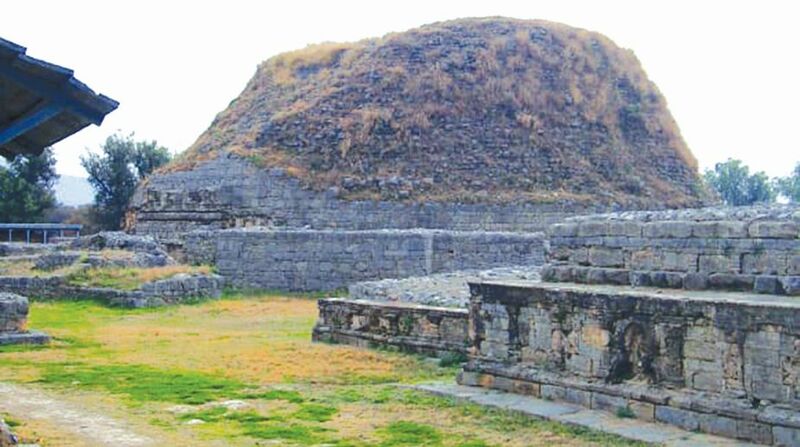 A valuable site for tourists and students of history, Taxila was once a seat of Buddhist learning. Many come to pay respect to this place because of the great significance it holds for Buddhists everywhere, similar to what Al Azhar University means to the world’s Sunnis or what Qom and Najaf is to the Shias. According to tradition, the Dharmarajika Stupa housed the bone fragments of Buddha himself. The surrounding ruins, archaeological dig sites and the lush green grass take your breath away. It is easy to imagine being there in ancient times when Buddhist priests would sit underneath the surrounding trees and debate theological questions. Though there has been much discussion about whether Taxila University could actually be called just that, there is little doubt that it is one of the oldest locations of higher learning anywhere in the world. Nurtured by Greek rulers who succeeded Alexander, as well as by Chandragupta Maurya and Ashoka, during the Gandhara period that dominated the region, Taxila was the place to go for higher learning and teaching. There are several monuments around the area, including decaying statues of the Buddha, as well as burial sites of Buddhist priests. During British rule, in the early half of the 20th century, archaeologist Sir John Marshall first carried out excavation at the location over a period of 20 years. The surprising thing about the archaeological find is that even though excavations first began over a hundred years ago, nearly 90 per cent of the site is still unexplored. Driving a few miles from the site and towards the modern city of Taxila, one must take a stop at the local museum that houses relics and artefacts discovered during the excavations. The museum was built during the British Raj and was cultivated by Sir John Marshall, whose portrait greets you at the entrance of the main building. 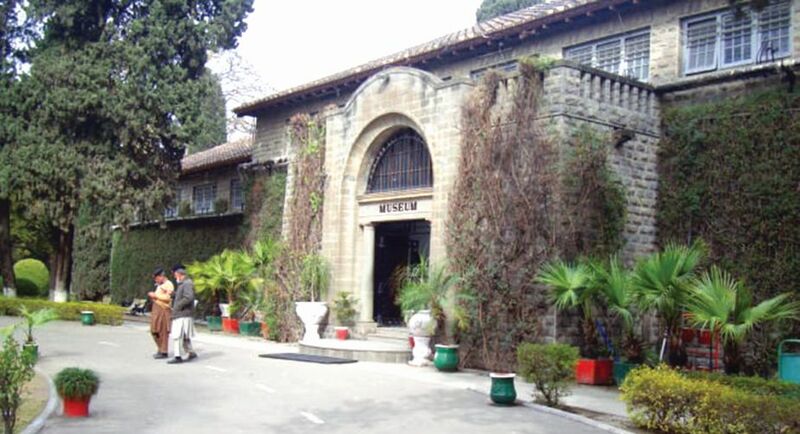 The building is built very much in the architectural style of the British colonial era, with limestone buildings preserving a rich cultural heritage within its four walls. The foundation stone of the Taxila Museum was laid in 1918 by Lord Chelmsford. The interior of the museum is very well-maintained, which has two main wings to your right and left as soon as you enter. The wooden flooring, columns and ceiling, as well as the wood and glass cases are simply magnificent. The polished wood glimmers whenever rays of the sun enter this confined place. The museum displays are dominated by Gandharan Buddhist art as well as utensils that were used by the villagers in Taxila many centuries ago. 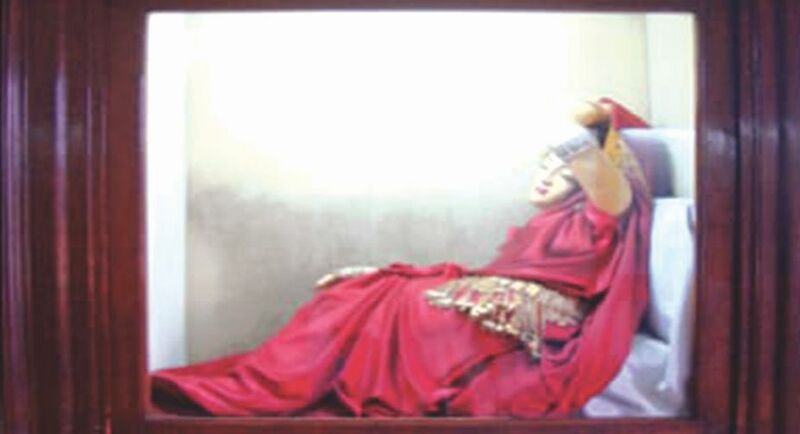 Huge statues of Buddha, including his head are placed behind enormous glass cases. Replicas of Buddhist statues, the Dharmarajika Stupa, as well as a large model of the archaeological site are all on display there. 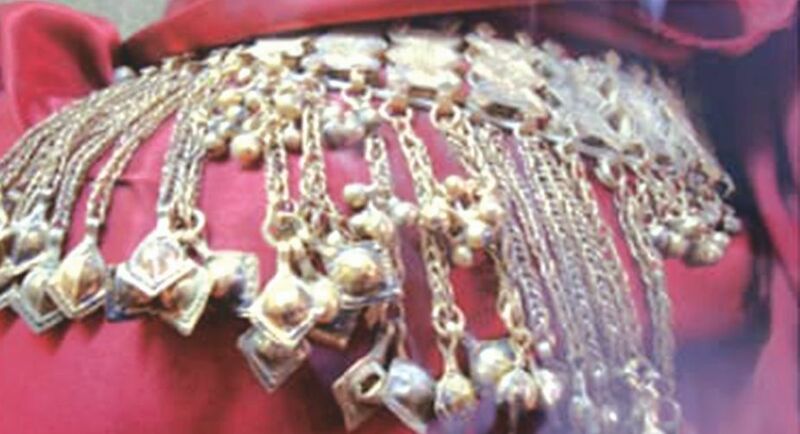 One of the best displays at the museum is of a mannequin dressed up in velvet clothing and ancient gold jewellery. Those familiar with German archaeologist Heinrich Schliemann’s famous photo of his wife covered with the so-called jewels of Helen of Troy, will notice a resemblance. It was interesting to note that a number of visitors are youngsters, who seemed to be in awe of the accomplishments of the people who lived on this land thousands of years ago. Drawn towards the face of the Buddha peacefully meditating behind the glass case, they urged their parents to keep up with their sense of wonderment while they ran from one end of the museum to other to marvel at each relic. 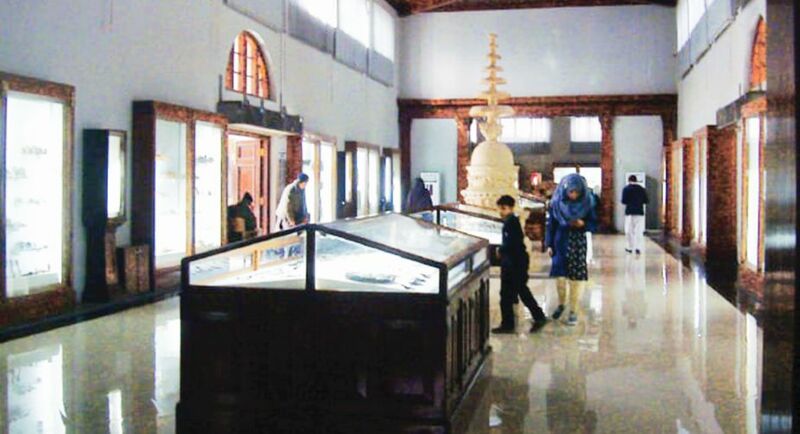 The Taxila Museum may well be the best-preserved museum in Pakistan; it certainly has the best collection of Buddhist art one is likely to find in the country. The guards at the museum and the curators are very friendly and more than willing to help you get a clear perspective about each heritage piece. However, don’t be too surprised if they expect some monetary contribution for their often unsolicited help. It is sad that this heritage site is not marketed for the entire world to see. Lack of public interest and poor marketing has made this and many other sites unknown to the outside world. Taxila and other heritage sites are without proper care and are in great danger of irreparable damage.